"I am really happy with how the website turned out and we have booked several trips from it already. I was contacted by a very renowned outdoor writer last week the day after the site launched. He said he was very impressed with our site and contacted us to refer his corporate clients based on our professionalism." 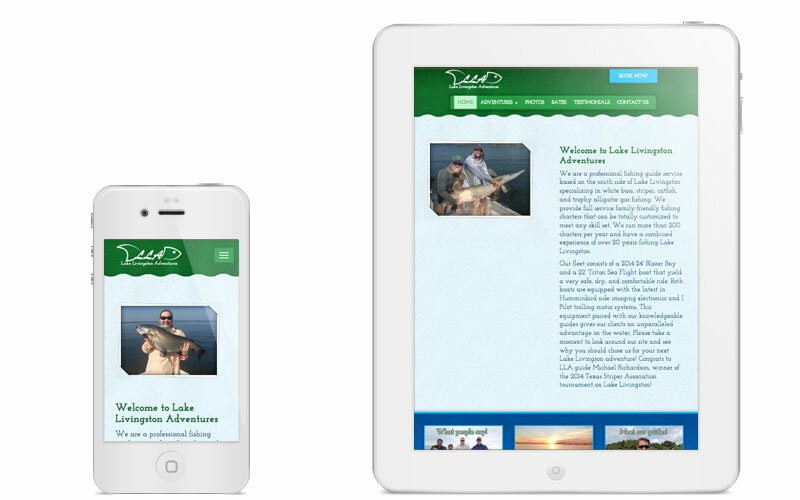 Lake Livingston chose Clever Mutt™ to launch their first mobile friendly professional website, powered by the Clever Mutt™ Portal web CMS. 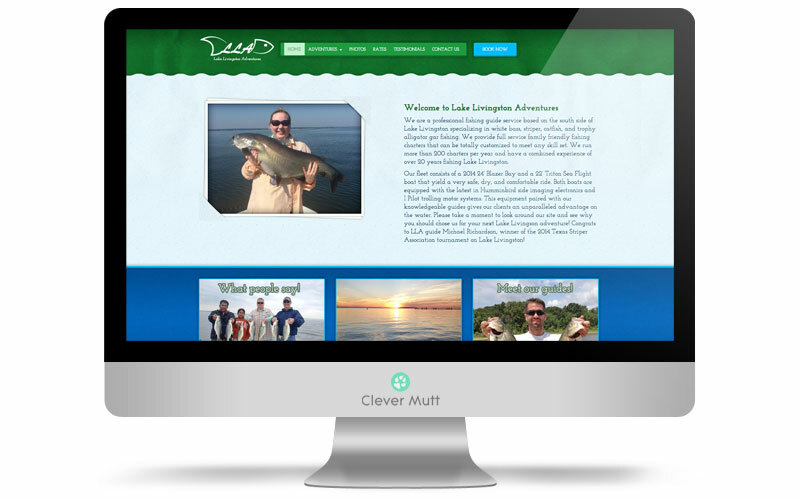 Clever Mutt™ also provided lsocial & search marketing consultancy and training services to help Lake Livingston Adventures determine their complete online marketing strategy. Clever Mutt™ also provided logo redrawing services. We are a professional fishing guide service based on the south side of Lake Livingston specializing in white bass, striper, catfish, and trophy alligator gar fishing. 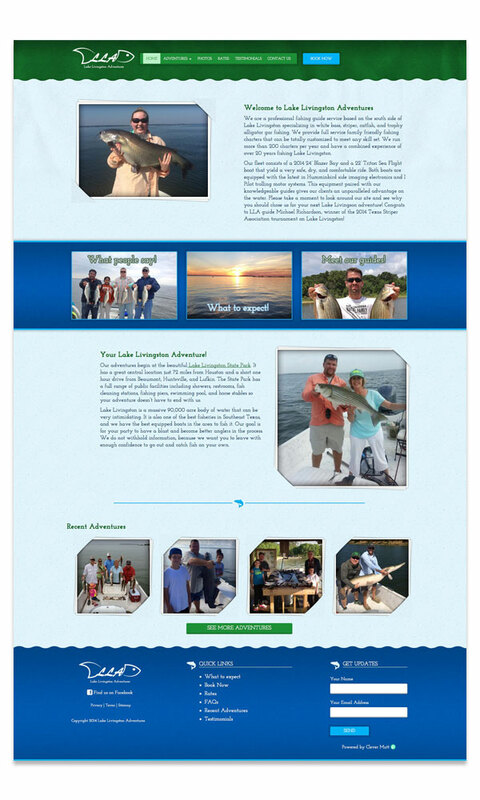 We provide full service family friendly fishing charters that can be totally customized to meet any skill set.